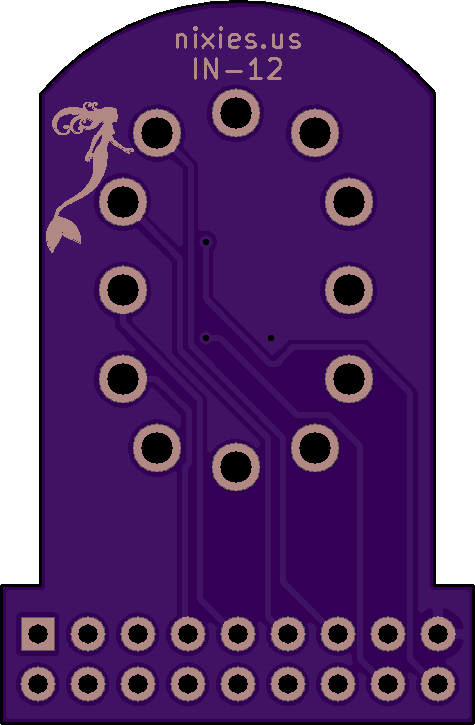 2 layer board of 0.95 x 1.45 inches (24.1 x 36.8 mm). Uploaded: May 26th, 2018 13:06. An IN-12 adapter for my one-tube Nixie clock. These tubes have 1mm pins that plug in to a socket. This board is intended to use female D-SUB pins as a ‘socket’. These are often listed on eBay as ‘1mm tube socket pins’. It will also work with other tubes that have the same pin layout such as the B5991, CD25, CD43, ZM1100 and many more. 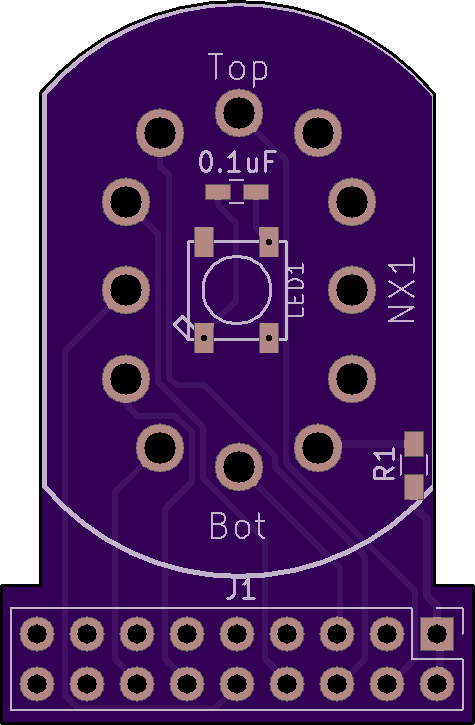 The board includes pads for a neopixel and for a current limiting resistor.